Xiaomi sub-brand Redmi in pushing forward its parent company goal of offering quality products with a high value for money at a launch event recently in China announced the Redmi 7 smartphone. Although not the first value for money device under the independent Redmi brand, the Redmi 7 is the true successor to the Redmi 6 and the Redmi 6 Pro, as well as the Redmi 6A, launched last year at a starting price of 699 yuan ($105). Now, barely 24hrs after it launched in its home country, the Redmi 7 appears to be on a global voyage, as the device is now up for online pre-order at the company’s Ukraine partner retailers and offline purchase at the official Mi Store at a starting price of UAH3,999 or $147/€130. 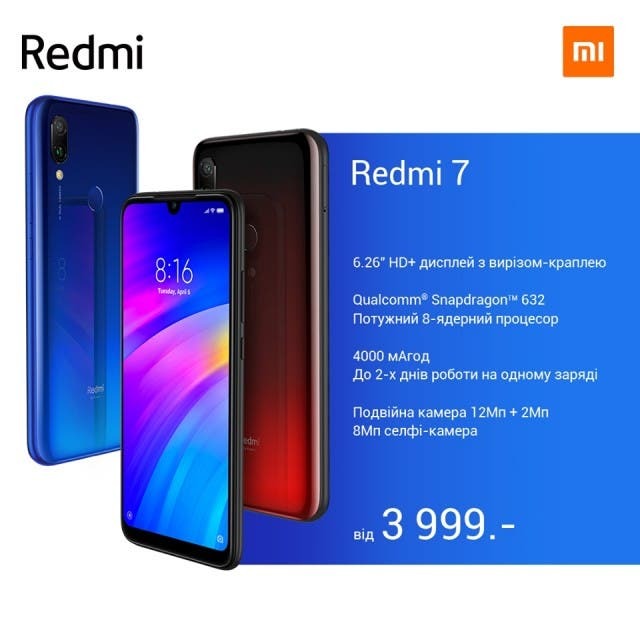 It is a bit surprising seeing the Redmi 7 go on sale in Ukraine only a few days after launch, while the Redmi Note 7 and Note 7 Pro are yet to be available for sale in the same country. Redmi latest gets the Snapdragon 632 chipset coupled with 2GB to 4GB of RAM, 16GB to 64GB of expandable storage under the hood, while it flaunts a 6.26-inch HD+ display with Gorilla Glass 5, while also boasting of a p2i water-resistant coating to protect it from rain and similar splashes. There is a rear fingerprint sensor at the back, with a dual camera lens for photographic duties, and a single 8MP selfie camera with face unlock within its waterdrop notch. 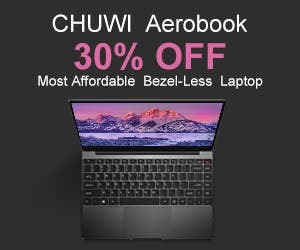 Other specs and features include Android 9.0 (Pie) with MIUI 10, a 4000mAh battery, iR blaster, dedicated dual SIM and microSD card slots, and Redmi is also offering an 18-month warranty on the device (at least in China).